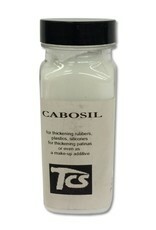 Cabosil is an excellent filler for urethanes and silicones. Use this product to make many rubbers brushable. Warning: Fumed Silica... always wear a respirator!!! 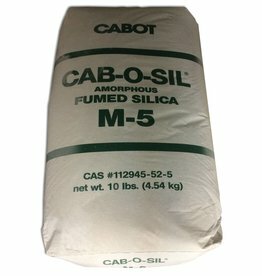 Cabosil - fumed-silica thickening agent is primarily used with liquid urethane and silicone rubbers for brushon moldmaking applications. Cabosil is added in small amounts to the mixed rubber until the desired viscosity is achieved. It can also be added to liquid urethane resins to create casting effects and to thicken the material for trowelable casting applications.